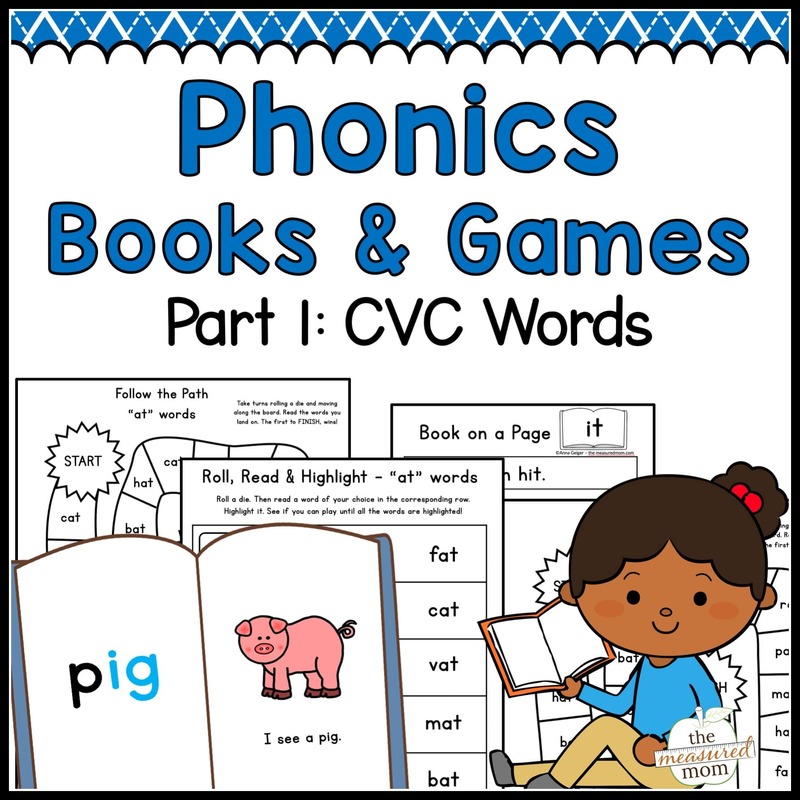 Looking for focused phonics activities for CVC words? This bundle is perfect for kids who are just starting to sound out words! 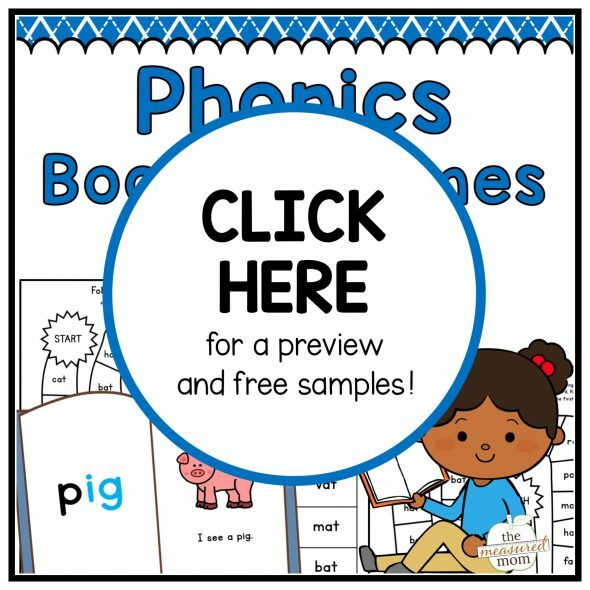 You’ll love the 25 printable phonics books and 52 printable games. Scroll down for more details and a video preview! Or CLICK HERE to get the whole bundle and save 20%! One file has 60 printable games featuring CVC words. Download the pdf preview below for more details! If you are a resident of the European Union, please purchase this product in my TPT store.